The Porsche parallel full hybrid system also reduces consumption at high speeds thanks to its ‘sailing’ or coasting mode. When the driver lifts off the accelerator at normal highway cruising speeds, the gasoline engine is completely switched off and disengaged from the drivetrain by a decoupling clutch. This eliminates the combustion engine’s drag forces and braking effect in the interest of lower resistance, fuel consumption and emissions. As soon as the driver presses the accelerator, to pass another vehicle for example, the gasoline engine smoothly starts within fractions of a second and engine rpms are increased to match the current vehicle speed. It does this seamlessly thanks to the Hybrid Manager, which also helps the Panamera S Hybrid accelerate dynamically in gears at higher speeds much like a conventional Panamera. 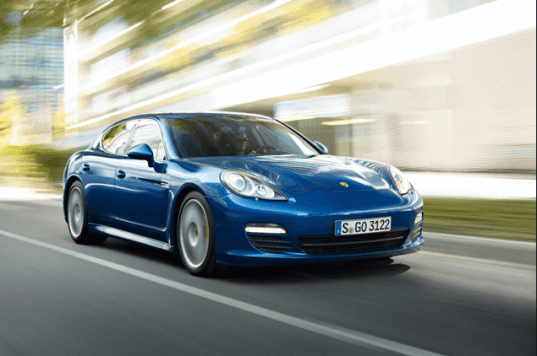 For those of you who have the need for speed, with an eco twist, the Panamera S Hybrid will go on sale in the United States later in 2011 for about $95,000 (excluding destination).